Note: Space Engineers does not currently support changing audio devices during the gameplay. Solution: This is caused by SoundBlaster drivers, which breaks XACT sound processing. 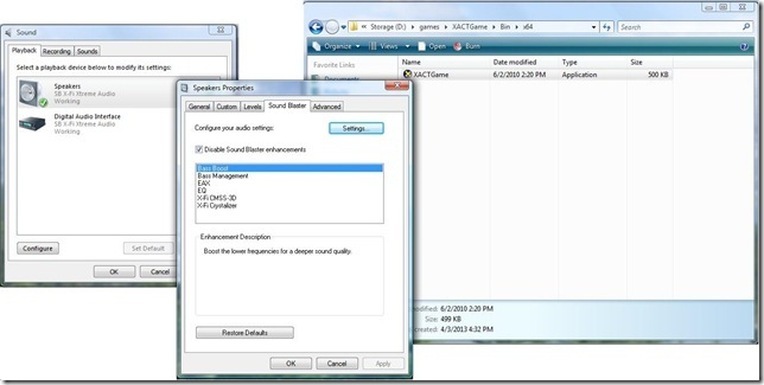 You need to disable all sound enhancements in SoundBlaster driver properties. Solution: Reinstall game on internal HDD, best would be system drive. This is XACT issue, we will replace XACT with XAudio2 in future. XACT is deprecated.